There are certain services and attractions that Savannah doesn't offer, but you don't have to trudge all the way to Atlanta to enjoy. 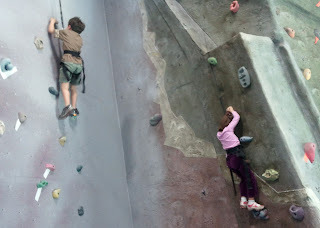 Just more than a stone's throw away is Splash In The Boro in Statesboro, the South Carolina Aquarium in Charleston, and the Edge Rock climbing gym in Jacksonville. 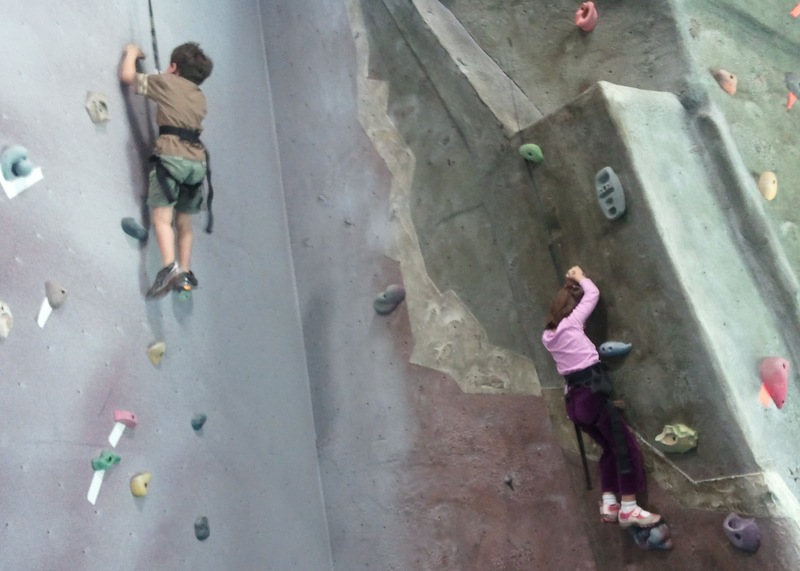 Edge Rock offers over 8,000 square feet of bouldering space. 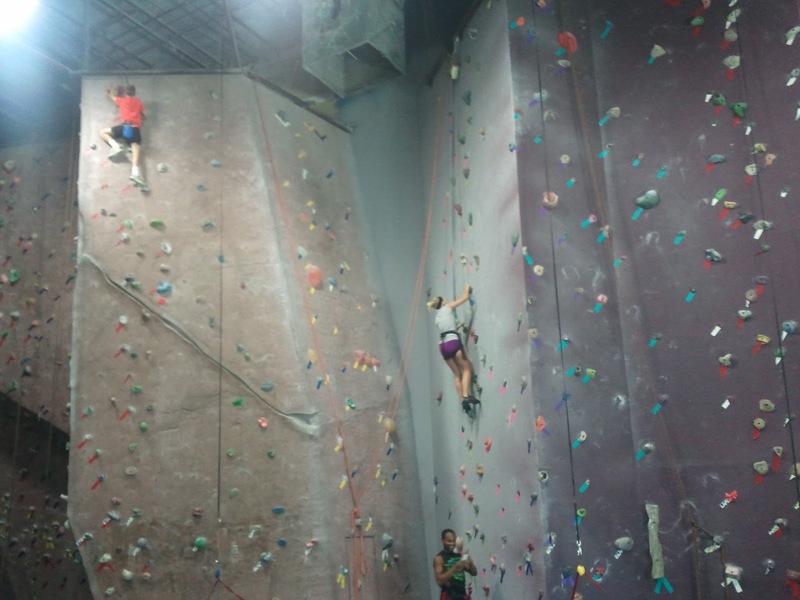 There are enough rock walls for everyone and varying levels of difficulty. 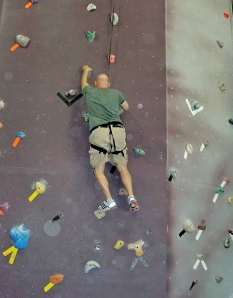 They have lessons for beginners, and accessories and equipment for serious climbers. A $15 day pass gets you unlimited access. It's safe for kids (my 8 and 5 year olds have been up several times) because the belay cords force a gentle descent. Though the heights may seem intimidating, it's not as daunting as inching your 199-pound frame up a narrow path. As with everything else in life, it only takes repetition, determination, and some perseverance...Not too much harder than hitting the road with the kids.